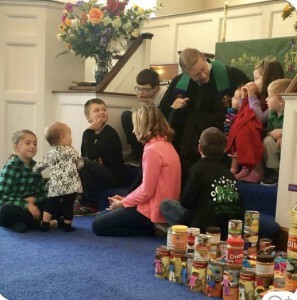 Forrest Palmer delivers a children’s sermon to youth at First Presbyterian Church of Dunbar, WV. Forrest Palmer attended his first national Association of Presbyterian Church Educators meeting over 40 years ago. That conference and the association left a lasting impression on Forrest’s life. 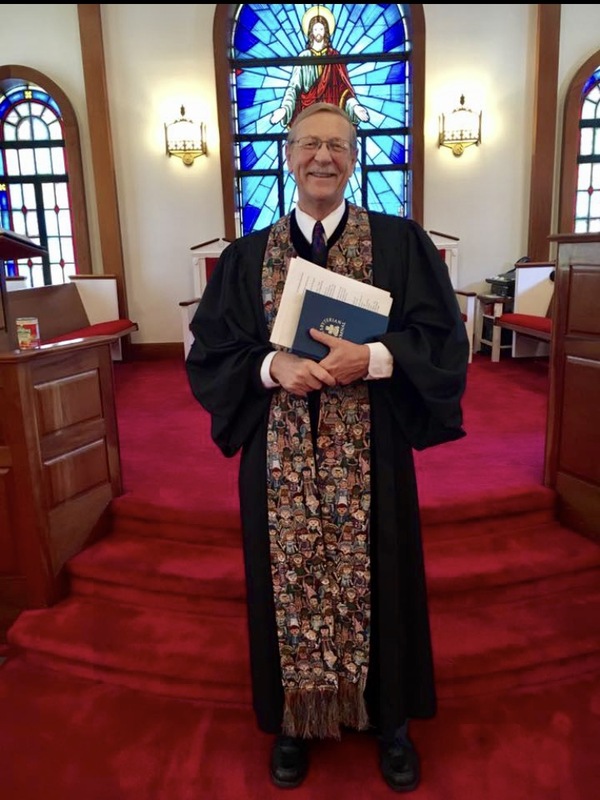 Eventually, Forrest, the retired interim executive presbyter at the Presbytery of West Virginia, would land on the APCE cabinet (2006-10), representing the South Atlantic-Puerto Rico Region of APCE as he served as executive associate presbyter of the Presbytery of Greater Atlanta. From 2013-15, Forrest served as president of the national APCE organization during a time of “great transition,” one that included the resignation of the then-current president due to health reasons and Forrest having to hit the ground running with shortened training. Forrest helped restructure APCE to “embrace more volunteerism from the local churches.” There was also a push to use technology more, especially regarding meetings that allowed people to attend online instead of face-to-face. Through Forrest’s leadership, APCE has been able to thrive as an organization. Forrest’s work will be celebrated at the national APCE meeting in Louisville, KY, from Jan. 31-Feb. 3 when he will be honored with the association’s Lifetime Achievement Award. The award doesn’t only honor a person’s time with APCE but also that person’s accomplishments outside of the association. Forrest has contributed to educational ministry throughout his entire life and has done so in several different ways. Among those instances is working as a Christian educator and in youth ministry with congregations in Staunton, VA; Tallahassee, FL; Belmont, NC; and Charlotte, NC. He began as a cluster educator/camp director at Massanetta Springs Conference Center in Harrisonburg, VA, taught religious education at Belmont Abbey College in North Carolina, and was also on the adjunct faculty at Columbia Theological Seminary in Decatur, GA.
Forrest Palmer will be presented with the APCE’s Lifetime Achievement Award at its annual gathering. In a nutshell, APCE consists of people who are serving or have served in educational ministries as ministers, professional or volunteer educators, or students. It serves five denominations [Presbyterian Church (U.S.A.), the Reformed Church in America, the Presbyterian Church in Canada, the Moravian Church in America and the Christian Reformed Church in North America] and has 14 regions throughout the United States and Canada. The East Region includes Pennsylvania and most of West Virginia and will hold its annual Spring Event on April 30-May 2 at Rhodes Grove Conference Center in Chambersburg, PA. The Great Lakes Region serves, among others, Ohio and meets yearly in the fall. 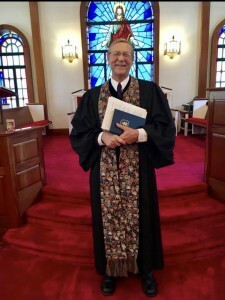 Forrest retired from full-time service to the church at the end of 2015 but remains involved through his role as the assistant to the pastor at First Presbyterian Church of Dunbar, WV. Forrest and his wife, Barbara, enjoy traveling, especially to see their “grand-twin boys” in Georgia. He also dabbles in weather forecasting, being an advisor for Foot’s Forecast, which is a multi-state, collaborative approach to weather forecasting that brings together students, adults and professional meteorologists while utilizing social media and a web presence. Forrest is on the Tropical Weather Team and studies weather patterns developing in that Atlantic region. “My undergraduate degree from Virginia Tech focused on the geo-sciences,” Forrest explained. “I was preparing for a career as a meteorologist or an oceanographer or something in the geo-science realm. It was during that time that NOAA (National Oceanic and Atmospheric Agency) had a forced hiring freeze. So, all along the Lord had been working through me and in me, tugging at me and nagging at me. I went to two weekends of theological inquiry and jumped into theological education in a seminary. Looking forward, Forrest will be involved with Presbyterian Disaster Assistance, serving on the National Response Team where he will work in emotional and spiritual support to those who have been affected by tragedies. He’s looking forward to completing PDA’s training and being deployed where needed in 2018. It’s all part of a life that has been spent serving others through preaching and, of course, teaching.